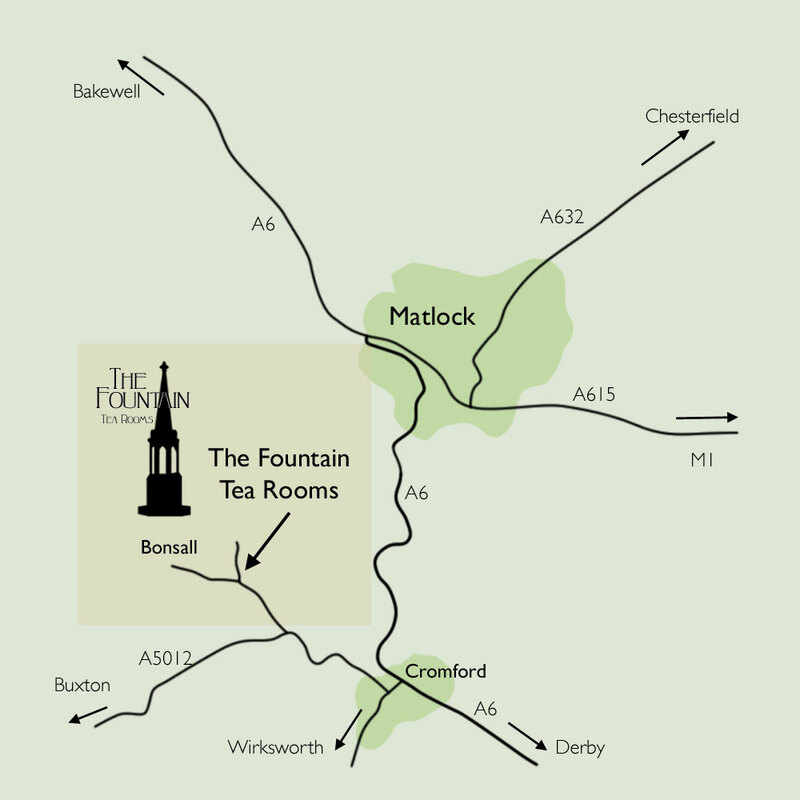 The Fountain is located in the beautiful village of Bonsall, on the edge of the Peak District National Park. Bonsall is just a short distance from Cromford and the nearby town of Matlock. Take the A5102 at Cromford which is signposted to Buxton. After a mile, turn right and climb up the hill into Bonsall Village. 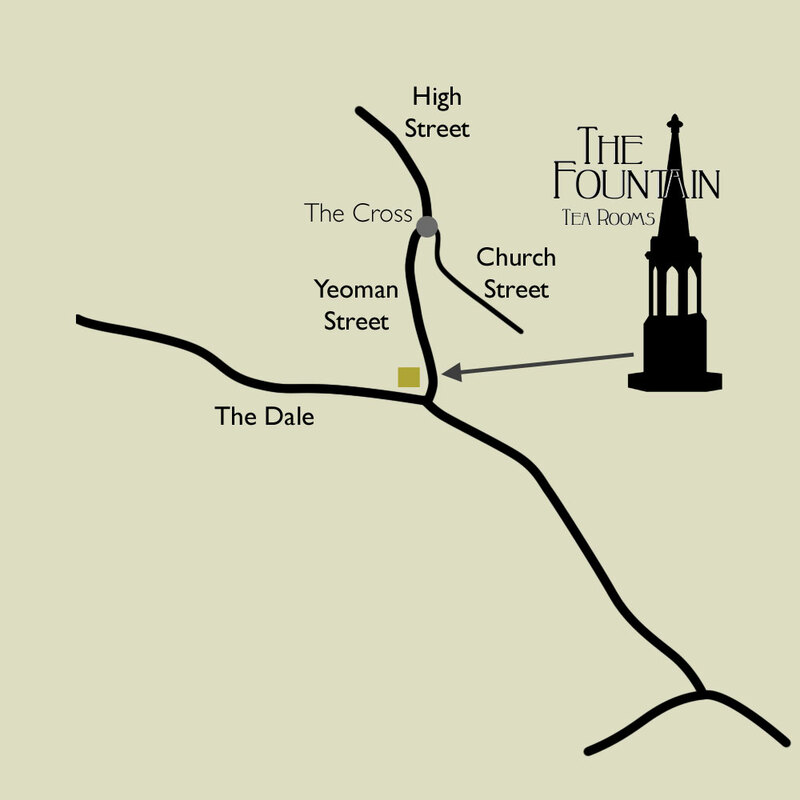 You will soon see the park on your right hand side and The Fountain Tea Rooms are directly ahead.